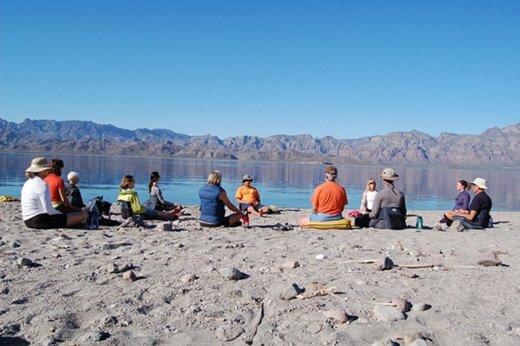 Sea Trek is happy to offer a Vipassana meditation retreat and sea kayaking trip in the pristine wilderness of the Sea of Cortez. 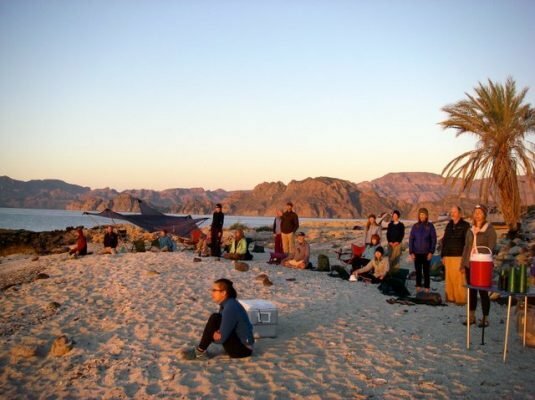 When you go on this trip, you get the same experience as our Classic Islands trip, but with a focus on mindful meditation with and within nature. This mindfulness retreat will be held entirely in serene silence. We will cultivate mindful awareness through sitting, walking and movement meditation. 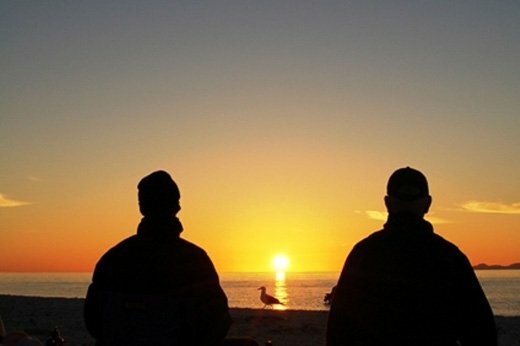 Mark will guide practices each day to deepen a contemplative relationship to nature. 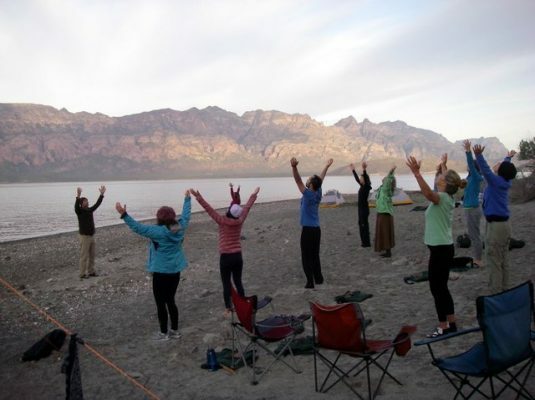 He will also offer talks and group and individual meetings to support participant’s meditation practice.There will also be free time to paddle, swim, snorkel and enjoy this spectacular setting. When you arrive at Loreto’s airport, we are there to transport you to our quiet hotel in the desert mountains. We’ll come together in the afternoon for a thorough orientation. Your guides will answer any questions you have, and share the flow of the coming days. The day begins with breakfast, and then a short stroll down to the waters edge where you will receive a basic kayaking lesson and our safety orientation. Afterwards, we all pack our kayaks with our personal day gear, leaving the rest for the panga, and make the three-mile crossing to Isla Danzante. We set up our first camp on the island. 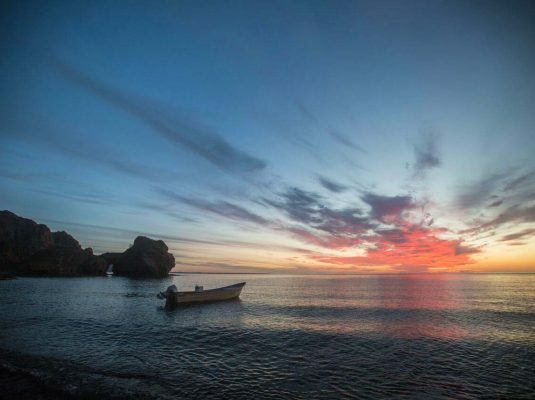 The sun rising over the Sea of Cortez and casting its light on the jagged promontories of Isla Danzante is a sight to behold. Your guides will point out Los Candeleros Islands, small rocks jutting above the water that serve as a home to cormorants, boobies, and ospreys. 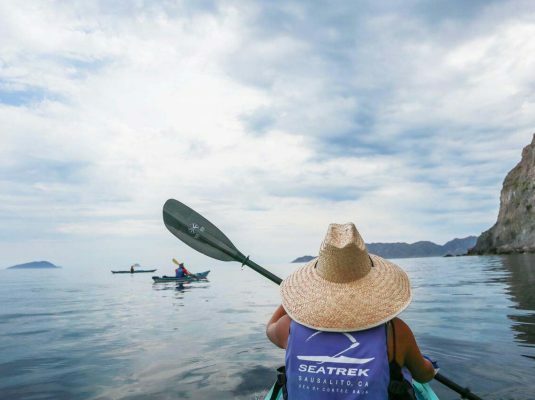 After paddling along the coast of Isla Danzante, we make a second crossing, this time to Isla del Carmen, located northeast of Danzante. Keep an eye out for pods of dolphins during the crossing, or even a Blue whale! After setting up camp on Isla del Carmen, the afternoon is yours to spend as you wish. After a hearty Mexican breakfast, it’s time for a day trip! We explore the coves around Isla del Carmen, and eventually make an afternoon stop at a secluded beach, which you are free to explore. 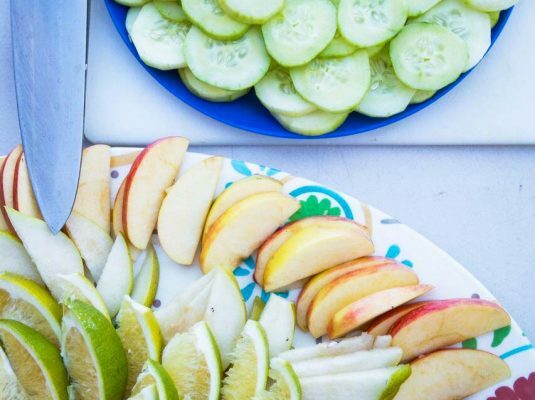 Upon returning to camp for the night, your guides prepare a feast of yellowtail, herbed rice, mixed green salad and tortillas. 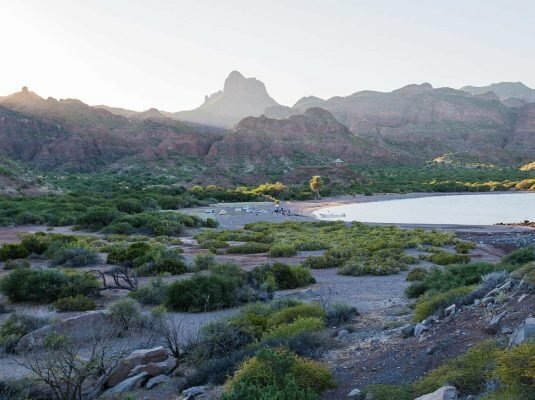 We have spent two nights on Isla del Carmen, so in the morning we’ll cross back to Isla Danzante to set up camp at a new location, this one surrounded by massive rock formations. 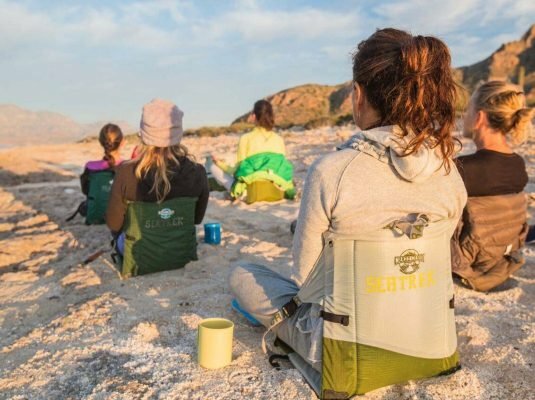 There’s more opportunity for exploration and relaxation, and another delicious meal as sunset changes the colors on the rock faces of the Sierra de la Giganta range. Another day on Isla Danzante will give you additional time to contemplate the natural beauty all around you. The waters of the Sea of Cortez are breathtaking, often appearing a light turquoise color, and the desert landscape all around provides a stark yet pleasing contrast. You can also spend some time snorkeling, experiencing the beauty beneath the waves as well as the beauty above it. 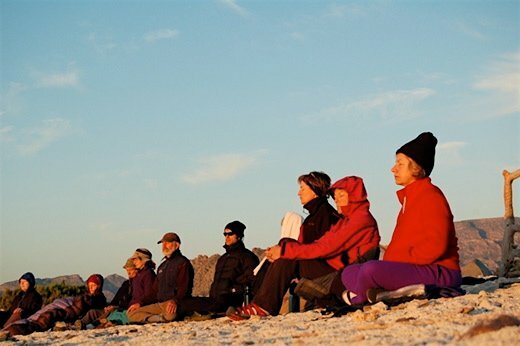 After a week in silence to support the meditative process, with several periods of meditation daily as well as time for discussion, talks on the themes of meditation in nature and opportunities for one-to-one work with the Mark Coleman your soul will be replenished in the spirit and awe of nature. Today will be a day to reflect on your experience, and drink in the last days of this rich and unique environment. Mark has practiced Buddhist meditation since 1984. He is a Spirit Rock Meditation Teacher and has been teaching Insight meditation retreats since 1997. He also leads wilderness meditation retreats from Alaska to Peru, integrating mindfulness meditation with nature. Mark is author of Awake in the Wild: Mindfulness in Nature as a Path of Self-Discovery. He is a counselor/ life-coach and mindfulness consultant to corporations. He’s an avid outdoor enthusiast and passionate about combining the forces of meditation, silence and nature.